At Amino Z, the whole reason why we are in business is to lead Australia in overcoming the misinformation that consumes health and fitness. From the outrageous inferences on infomercials, to the helpful advice of a caring (yet misinformed) friend, what we hear and believe is often not consistent with what the research tells us. Unlike many other supplement stores, we're not a team of sales people. And that's why we have a dedicated team of elite experts to help guide you toward making the right supplementation and training decisions. Jay is the founder and CEO of Amino Z. Following his national title of "Australian BodyBlitz Grand Champion" in 2006, he set out on a mission to establish a company that aims to educate Australians and overcome the misinformation in the health and fitness industry. Jay is an award-winning and professionally qualified personal trainer, having helped thousands of people achieve their goals. He is also the author of "How to Transform the Average Joe in 12 Weeks" and has been featured on the front cover of Australian Ironman Magazine. He is a writer for many well-known Australian fitness magazine publications including Australian Ironman, Australian Womens Health & Fitness, Oxygen, Australian Fit Lifestyle, Fighting Fat, New You. Jay's services have also been featured in Australian Womens Health Magazine. Jay also received a UAI of 99.55 and was awarded the prestigious University of New South Wales 3 year Science Faculty scholarship upon commencing his tertiary studies at UNSW. Jay does provide 1-on-1 personal training services to a select few clients. Fereshteh is a leading personal trainer with a unique passion for sharing her knowledge and love for health, fitness and wellbeing. Fereshteh graduated from the University of Ottawa in 2009 with a Bachelor of Science majoring in Human Kinetics and competes at a national level for Olympic-Style Weight Lifting. Her extensive knowledge and passion for the industry has led her to become an expert in the field, having written for numerous online and print publications, with regular features in Australian Fit Lifestyle Magazine. 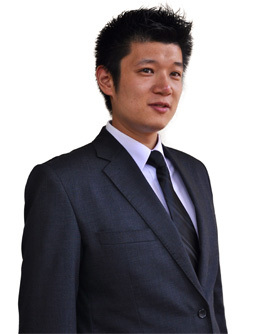 Dr Gao completed his Bachelor of Science in Biotechnology with a first class honours and a Diploma of Innovation Management at the University of New South Wales. He was awarded a PhD in Medicine at the University of Sydney in 2011. Following extensive research into stem cells, type I Diabetes and Neurodegenerative Diseases, Dr Gao has published numerous original research articles internationally in highly acclaimed peer-reviewed scientific journals. Furthermore, he has been invited to present internationally, has co-authored several books and received a number of awards in recognition for his academic excellence. In addition to medical research, Dr Gao is a certified life coach by the International Coach Federation. This is a result for his passion for helping people to achieve greatness in their lives. Throughout the past few years, Dr Gao has become highly involved in taking a scientific approach to the health, fitness and supplementation industry. He has a strong belief that the maintenance of good health and the prevention of disease are greatly linked to quality nutrition, fitness and exercise. He has written numerous articles for the nationally distributed Australian Fit Lifestyle Magazine and is passionately involved in helping to educate Australia in this field.